Roof Inspection | Roofing Services | Homestead Roofing Co. Whether you are looking to sell your home or commercial building, purchase a home or commercial building or simply make sure your roof is free of any minor or major damage, there are a few reasons to hire a certified and experienced roofing contractor for your roof inspection. First, climbing onto your roof can be dangerous particularly for buildings over one story. Secondly, there may be subtle signs of damage that only an experienced inspector would notice. Our inspectors at Homestead Roofing are experienced and know the subtle signs of roofing damage. Your rooftop is the most important feature on your home or commercial building and needs to go through an inspection yearly. We take great pride in providing thorough roofing inspections that help you identify any damage to your roof to help offset major expenses in the long run or simply provide you peace of mind in knowing that your roof is damage-free. When do you need your roof inspected? Everyday exposure to sun plus seasonal rain, high wind gusts, hail, and snow slowly (or in some cases quickly) wear down your roof. Identifying minor damage and quickly repairing it can save you thousands in the long run as minor damage eventually leads to major damage that results in costly repair bills. Call us today to schedule your roof inspection. We’ll answer any questions you have as well as provide you with inspection costs and a checklist of our inspection process. A roof inspection is a thorough examination of a residential or commercial roof to determine the health and integrity of a roof. During the inspection, a professional inspector will look at interior and exterior surfaces, gutters, chimney and flashing points for signs of damage. Following the inspection, we will make the necessary recommendations to repair your roof. How long does a roof inspection take? A roof inspection can take from 45 minutes to several hours. Can’t I inspect my own roof? While you can certainly climb up on your roof and inspect it, we do not recommend it. First, it can be dangerous. And second, since you are not properly trained to identify subtle roofing damage, you may miss minor damage and problem areas. Many homeowners and commercial building owners are able to identify roof leaks and serious damage but miss the less noticeable issues. As a result, minor issues that could have been affordably repaired become costly repairs or even entire roof replacements. How often are roof inspections recommended? Getting a roof inspection 1-2 times a year is recommended to ensure the health and integrity of your roof. While this may seem like a lot, it’s really not if you want to keep your roof in good condition and keep repair costs minimal. Routine inspections can significantly extend the life of your roof so think of it as an investment in your roof and home. You may also want to have your roof inspected before or after a major storm or upon the sight of some troubling signs such as leaks or moisture problems. 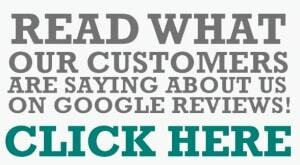 What should you look for in a roof inspector? Make sure to check for license, insurance and certification plus a reputation for integrity. 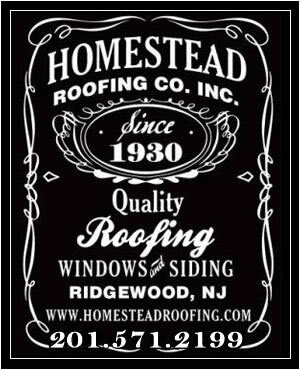 All of which we can provide at Homestead Roofing. What happens if you identify damage or something wrong during the inspection? While we certainly don’t want this to happen, if we identify any damage or potential issues during the inspection we will notify you of the damage or issues and provide you with options on the best course of action to repair the damage and address any problem areas. If you have any other questions about roof inspections or are ready to book your inspection, give us a call today!